Range of NH3 compressors packs with several parallel compressors for big industrial refrigeration installations designed for outdoor or indoor installation. 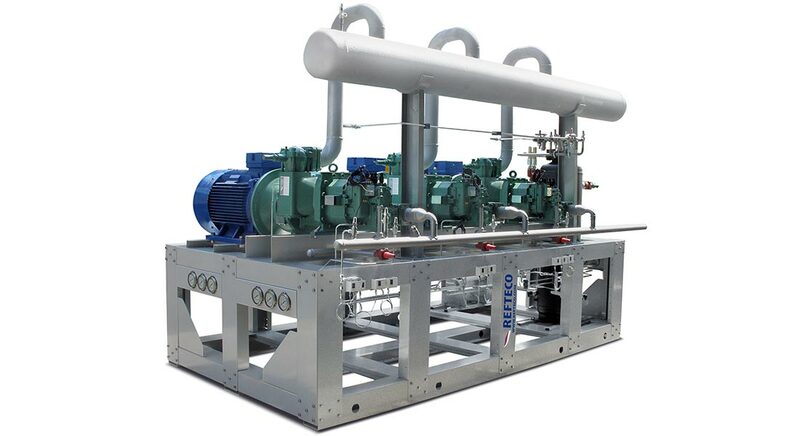 This compressors racks line is equipped with oil separator and oil cooling circuit. Options: Electrical cabinet, ATEX execution, inverter, soft start.